If you look closely at current business development, there is no secret that more businesses are converting to the cloud to expand employee productivity while cutting operational expenditures. However, there is no denying that the cloud has its setbacks that can potentially harm the effectiveness of the IT infrastructure. Even fastest-working cloud computing systems can experience a downtime. This can lead to a massive decline in performance and affect the user experience. For IT infrastructure to function efficiently, companies require a complete network monitoring solution to ensure the maintenance of optimal functionality. 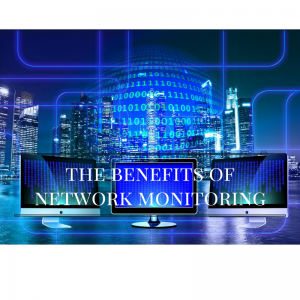 A network monitoring solution is more time efficient. It also reduces data centre operational costs and maintains network availability. Companies must use network management software as the demand for operational support has skyrocketed during the last few years. You will need a tool that allows live and constant system monitoring identifying any performance issues and providing the best experience to all users. Without a data connection tool, an IT team may struggle with persistent security threats daily. It is crucial that IT staff constantly update security passwords and maintain standardised security settings. This, at times, can be a little more difficult than it sounds. A solution that recognises and discovers unusual patterns is an absolute must for any business. It is now easier to detect possible Denial of Service (DoS) attacks. As the number of wireless devices is on the rise, it is increasingly problematic for IT teams to handle the final internet protocol stages in a Bring-Your-Own-Device (BYOD) environment. It is vital for them to keep constant tabs on their network connection and check if the existing framework is fully equipped to handle instabilities caused by multiple mobile devices. A good network monitoring tool delivers a complete record of devices, both wired and wireless. It looks out for long-term trends and optimises asset usage while lowering overall expenditure. A good network monitoring tool can detect, troubleshoot and rectify any issue before it affects critical business processes. It also facilitates timely planning of vital maintenance windows and bandwidth allocation for improved quality of service. With new technologies, you can monitor and manage the IT environment without any interference. It is vital that you are aware of all aspects of your systems’ equipment, applications, network and incoming and outgoing traffic before a problem arises. Global ITN analyses, diagnoses and resolves network performance issues before it occurs thus preventing unnecessary downtime and affecting the daily functioning of your business. Network monitoring keeps track of critical project appliances and software. It notifies your Network Administrator before issues affect the users and cause problems, giving you a proactive problem-solving method. Having a thorough understanding of how your devices are being used allows you to proactively identify areas that require additional resources. This enables a controlled rollout of any additional capacity. Network monitoring allows the support team to detect, diagnose and fix the problem before the user(s) is/are affected, thus minimizing your network downtime.